We love our grand kids! The joy they bring lights up our lives. When they lose someone special, they hurt and we can feel helpless to know how to help. This year, as we completed our 25th season of Camp Courage, we received questions from grandparents about how to help the kids in their lives cope with loss. How grief is experienced depends on age, development and other factors; what helps can vary from child to child as well. For example, one may find comfort in creative projects while another feels better talking about the person who died. Below are some tips on how to support a grieving child. TELLING THE TRUTH is one of the best ways to help. When children don’t know the truth they often invent something worse. The National Alliance for Grieving Children (childrengrieve.org) has tips and a video to help you talk with kids about death. Children may also blame themselves even though they had no involvement in the death. Providing reassurance that it was not their fault can have a big impact. Sometimes children ask questions we don’t know the answers to. That’s okay! Saying honestly that you do not know is better than a made-up response. You can always call a grief professional for clarification and report back later. LISTENING is another way to support your grands. Allowing them to share memories, stories and feelings with a nonjudgmental presence lets them know you’re there for them. Providing a safe space to talk about the deceased is healthy for both of you. 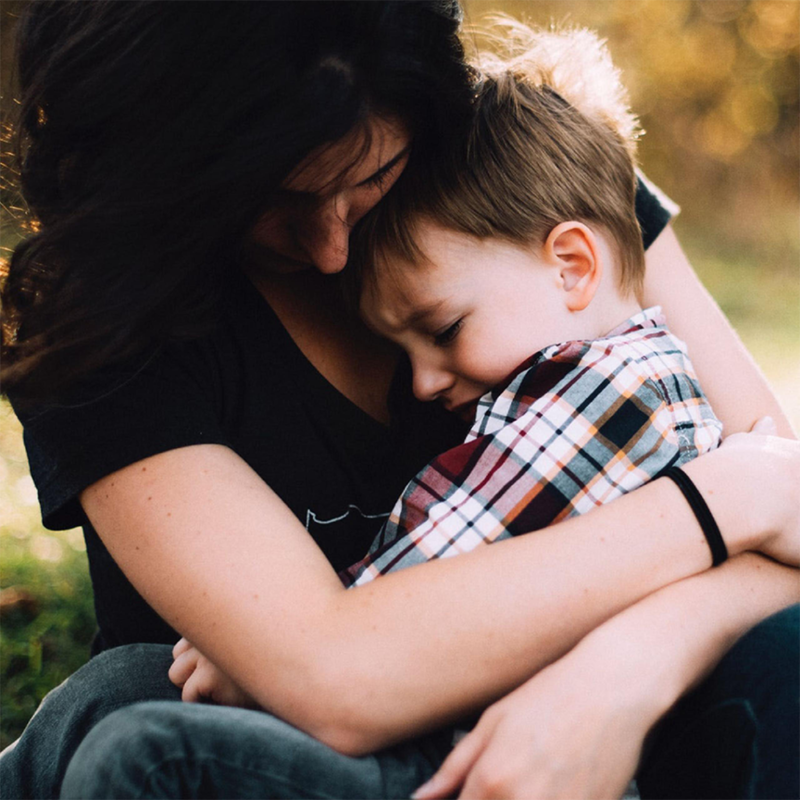 Many children feel alone in their grief, so connecting with other children who have lost loved ones is beneficial. Camp Courage, which is offered through Harbor Hospice each summer, is a wonderful opportunity to interact with other grieving children. ACTIVITIES to help kids remember and honor the deceased helps as well. This can be as simple as lighting a candle or as complex as helping plan a memorial service. Don’t be surprised if some children don’t want to participate. Allowing them to partake as they wish encourages them to know they are safe with you, and they will come to you when they’re ready. The Dougy Center (www.dougy.org) has ideas for grief activities. STABILITY is important for children who have experienced a death. A stable, safe environment, regular schedules, adequate sleep, and proper nutrition are key to supporting them as they grieve. Caring for a grieving child or grandchild is hard work. Remember to allow yourself to express your own feelings, whether through a hobby, with a grief counselor, or in a support group. Local resources include the Scolnik Healing Center of Harbor Hospice (231-728-3442), Ele’s Place (616-301-1605), and Starlight Ministries (616-662-1999). Laura Ecker (left) and Beth Bolthouse (middle), are both Bereavement Counselors for the Scolnik Healing Center of Harbor Hospice. Melanie Dekkers, a former Social Worker for Harbor Hospice has transitioned to a new position within the Trinity Senior Living Community. Harbor Hospice serving the West Michigan lakeshore. Their agency has provided hospice care and support programs to residents in a five-county area for over 35 years.